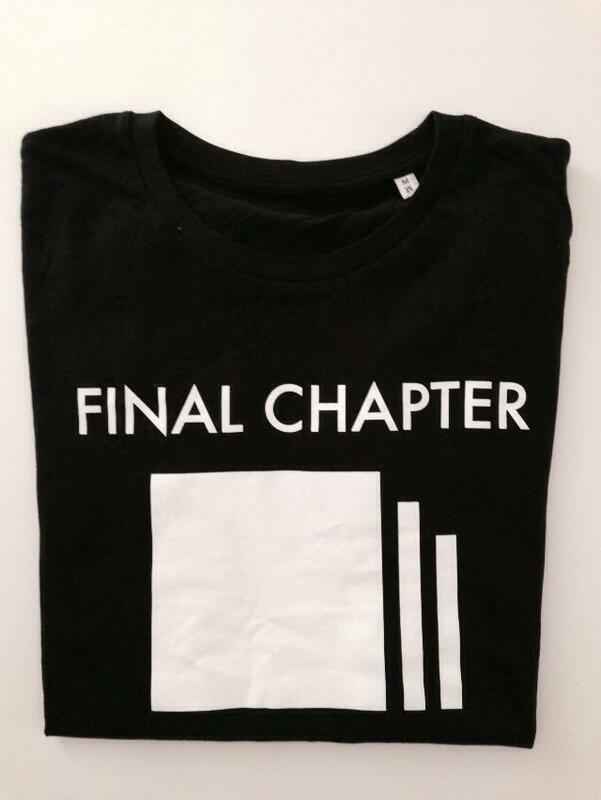 Some real classy Final Chapter t-shirts are now available. Black with white logo or white with black logo, in sizes M, L and XL. 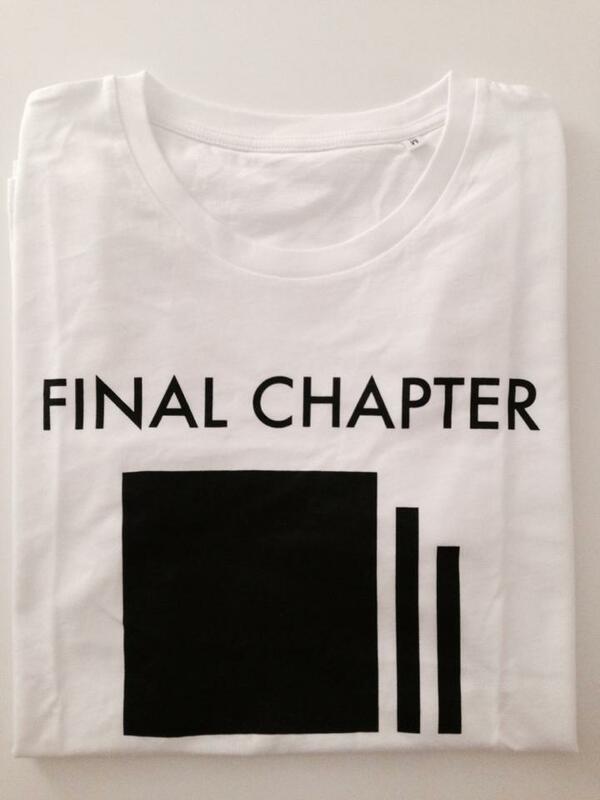 Get in touch at contact@finalchapter.info if you want one.